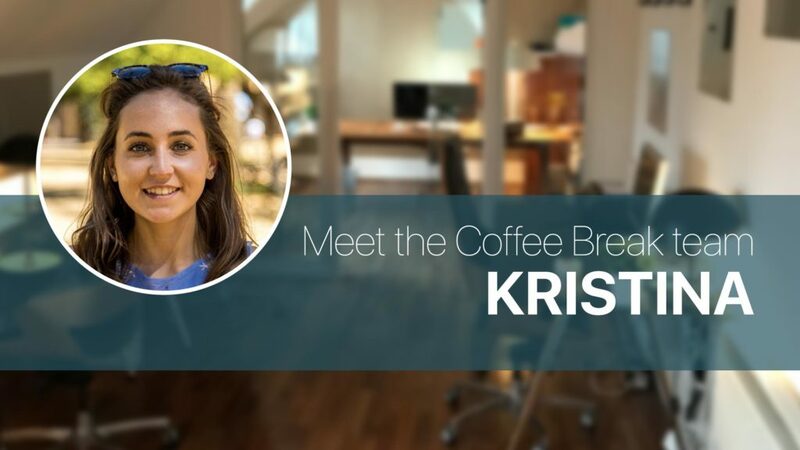 My name’s Kristina and I’m Radio Lingua’s Content Marketing Assistant. I first started working with Radio Lingua as an intern in October 2016, during my final year of university. After graduating in June 2017, with a Masters in International Business and Modern Languages, I started working full time in our Glasgow office. As well as the content marketing side of my job, I also play a part in creating, producing and managing our content – from business development, social media management to content writing, and customer support. I also use my language skills on a daily basis, whether that be while creating Coffee Break materials or chatting to our French correspondents. Representing Radio Lingua at trade shows and events is great fun as it gives me the chance to promote our courses while chatting to fellow language learners. It’s always nice to hear positive feedback from our customers all around the world. I’ve always been aware of the value of foreign languages, thanks to having German grandparents and a mother who is a languages teacher. 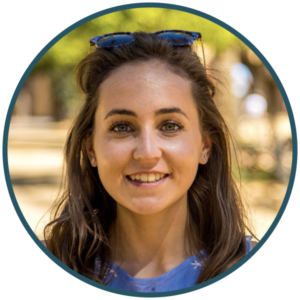 I thoroughly enjoyed studying French, Spanish and Latin at school, so, when I started university, I decided to pursue my dream of speaking a foreign language by combining my business degree with modern languages. As French was my main foreign language, I spent a summer working as an au pair in Nantes (France), followed by a year studying in Grenoble. I had such a great time abroad that I decided to extend the experience by spending the following summer working for a French campsite in Spain. Although French has always been my favourite language, I have also studied Spanish and Italian which was made easier thanks to my knowledge of French. Now, in my role at Radio Lingua, I have the opportunity to use and develop both the business and language skills I developed at university. A highlight for me was a work trip to Málaga, Spain with Mark and my colleague, Flora. 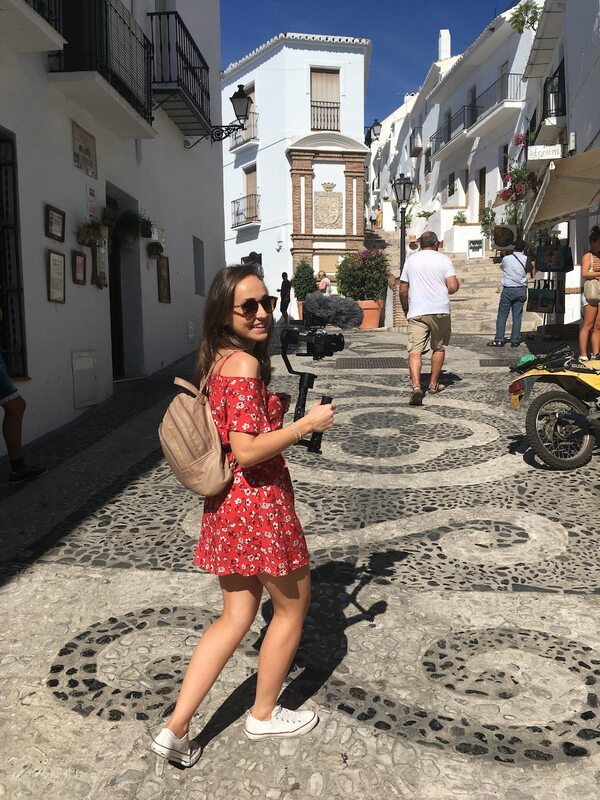 Not only did I have a great time adopting the role of ‘Production Assistant’, I was also lucky enough to see some beautiful parts of Spain I’d never visited before. I found being involved in such a project, through the various stages of production, extremely satisfying and rewarding. Another experience which I thoroughly enjoyed was going down to London for the France Show. 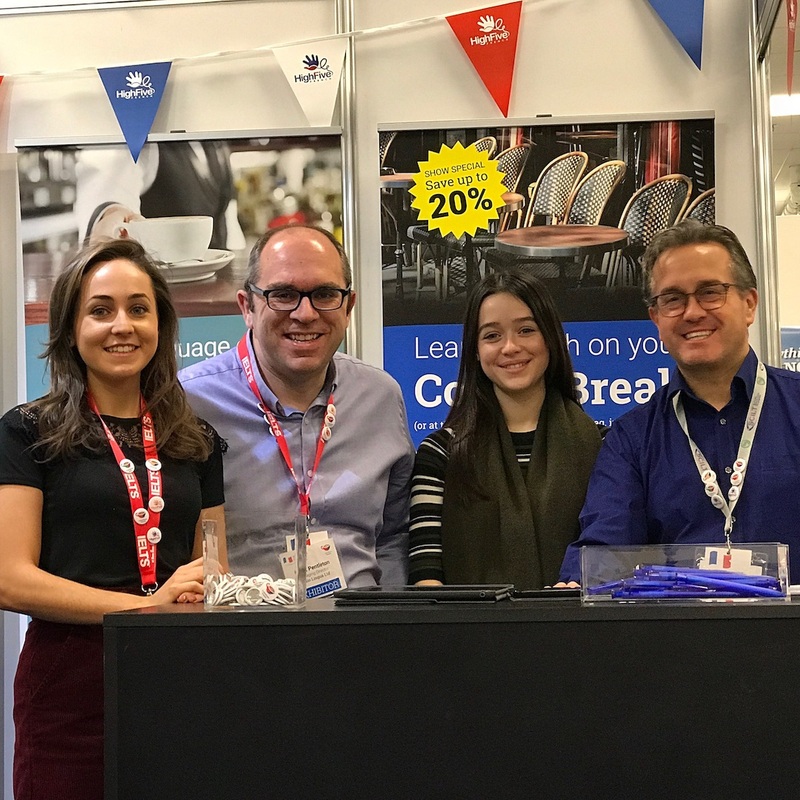 Representing the Radio Lingua team was a fantastic experience as it gave me a greater insight into the industry as well as the chance to immerse myself in all things French for the weekend! I think my ideal coffee break would be spent at a famous cafe in Cannes during the Cannes Film Festival. I’d love to speak to many of the famous film stars, including Bradley Cooper, as I believe he speaks fluent French! I have found that the best way to learn a language is to try to incorporate learning into your everyday life. Before my year abroad in France, I made a conscious effort to engage in French related activities as much as possible. For example, I used to listen to the French radio while exercising or cooking, and I regularly watched some of my favourite French YouTubers to familiarise myself with colloquial everyday French. Another useful tip is to change the language settings on your phone to the language you’re learning. I always have the language on my mobile set to French as I think it’s a great way of learning useful vocabulary without realising it – always a bonus! When it comes to speaking the language, I remember my language exchange partner telling me that his favourite way of practising his Spanish was to have conversations with himself out loud in the language (in private of course!). Although this may seem silly, it is a great way of getting your brain to think on the spot in the foreign language. C’est pas grave is such a simple but very common French phrase which always reminds me of the fantastic summer I spent working as an au pair in Nantes. I didn’t realise just how much it’s used in daily French until I heard how frequently my host family said it. Côte d’Azur would have to be my number one holiday destination as I’ve spent many great family holidays in the South of France. If I’m looking for some good quality Italian food and spectacular scenery then the Amalfi Coast is a winner. My third and final choice has to be the French Alps as I spent many of my weekends skiing here during my year abroad in Grenoble. It’s true that learning a language is a lot of hard work, but it is also very worthwhile and rewarding. Being able to speak a foreign language opens so many doors both personally and professionally, so it’s important to push yourself to step outside your comfort zone and not to be afraid to make mistakes as that’s how we learn and progress. Always remember, no matter what stage of life you are at, it is never too late to learn another language! Allez-y, foncez!